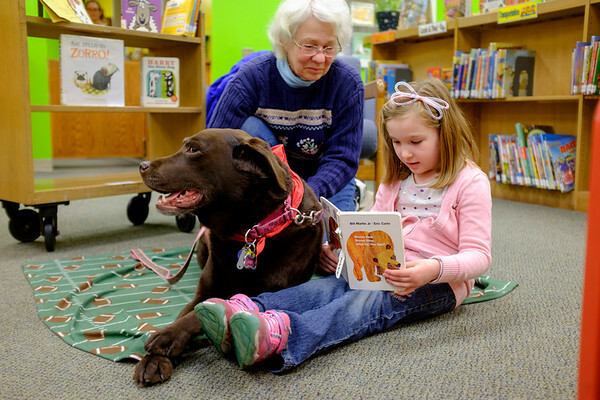 JOED VIERA/STAFF PHOTOGRAPHER-Anne VanDusen looks on as Sophia Kimmel, 5, reads a book to Abby, the Lockport Public Library's reading therapy dog. Kimmel chose to read Abby her personal copy of 'Brown Bear, Brown Bear, What Do You See? '.